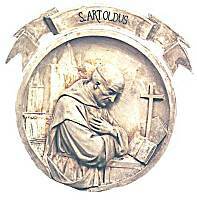 Saint Artoldo was born in 1101. He served at the court of Amadeo III of Savoy and in 1120 entered the Carthusian Order. In 1140 he founded the Carthusian monastery of Arvieres-en-Valromey. Made Bishop of Belley at the age of eighty, he resigned his bishopric after two years and returned to Valromey where he died in 1206. His cult was confirmed in 1834.